The 2018 Acura TLX is offered with either a front-wheel drive 206 hp, 182 lb-ft 2.4-liter inline-four or a 290 hp, 267 lb-ft 3.5-liter V6. They are paired with an 8-speed dual-clutch transmission or 9-speed automatic respectively and the bigger engine can be optioned with a torque vectoring four-wheel drive system. Refinement levels are excellent and the interior is spacious and well-built. It may not be the sportiest offering in its class but standard lane departure warning and adaptive cruise control are commendable for the class and the pricing is competitive too. 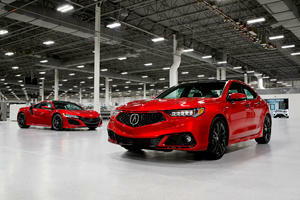 The Acura TLX has received a refresh for the 2018 model year and while it is not radically different from before, enhanced standard safety items and some minor updates under the skin see the Acura TLX continue as a solid mid-sized sedan. Being based on the Honda Accord is no bad thing and the Acura builds on this solid underpinning with a high-quality interior and even the minor controls feeling sturdy and well made. It may not exude the same luxury feel of some of its competitors but the Acura is still a class act and the outward visibility and airy feel make it a pleasant place to spend long periods in. There is plenty of space inside for both front and rear row occupants and even taller adults should have no issues with the leg room in the back although headroom is a mite restrictive if you are especially tall. Cargo space is up there with the best in class and the interior is filled with cubby holes and storage areas for smaller items. 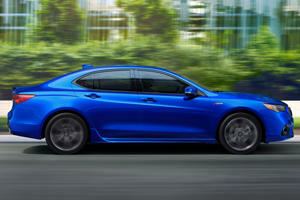 The Acura offers a smooth and balanced driving experience without really threatening to be an overtly sporty car. That will suit most of its target market just fine, and the hushed cabin, absorbent ride and well-weighed controls will be enjoyed more of the time than the ability to set your hair on fire around a twisty pass. The fitment of all-wheel steering and the option of all-wheel drive on some variants does add an added level of surefootedness around corners and enhanced grip and a new A-Spec trim offering adds a bit of dynamism into the mix too. The 2018 Acura TLX is offered with either a front-wheel drive 206 horsepower, 182 lb-ft of torque 2.4-liter inline-four which is equipped with an industry first 8-speed dual-clutch transmission, or a 3.5-liter V6 which pushes out a much meatier 290 hp and 267 lb-ft. This engine is mated to a 9-speed automatic transmission and can also be equipped with four-wheel drive. Both powerplants offer good performance in their respective classes although the V6 is the one to go for if you enjoy some spirited driving, its 0-60mph time of under 6-seconds and quick in-gear acceleration make it the more driver-focused of the two. Fuel economy figures range from a combined 28mpg for the four-cylinder model to 25mpg for the V6. Not vastly different although if you intend to drive solely in the city then the smaller engine will be a better option. The Acura TLX is available in essentially six different configurations, all are now equipped with a comprehensive range of driver assistance systems which include forward collision and lane departure warning as well as adaptive cruise control, automatic emergency braking and automatic high beam control. The base TLX offers LED headlights, power front seats, faux-leather interior coverings and keyless entry although only on the front doors. A Technology Package adds full leather upholstery, keyless entry for the rear occupants, navigation, updated 10-speaker audio system and further enhance the safety levels with rear-cross traffic alert and blind-spot monitoring systems. 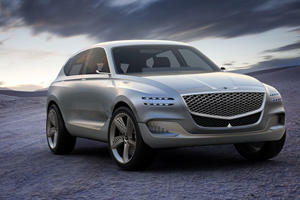 Both base offerings are powered by the 2.4-liter engine and are front-wheel drive only. Opting for the 3.5-liter engine in either of these trims mirrors the specification levels of the 2.4-liter models but adds some minor upgrades such as 18-inch wheels, upgraded interior touches and more power settings on the front seats. The Advance Package is unique to the 3.5-liter engine and includes all of the above items and adds rectangular LED foglights, parking sensors with surround view camera, steering wheel, windshield and rear seat heating as well as front seat ventilation. The A-Spec trim is also unique to the V6 engine and includes the contents of the Technology Package and adds 19-inch wheels, heated and ventilated front seats, alcantara inserts and a number of sporty styling touches. All V6 models can be optioned with all-wheel drive and LED foglights, larger alloys and reversing sensors are available depending on the trim level selected. 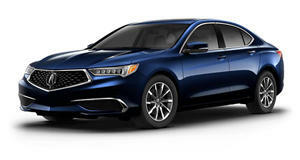 The refreshed 2018 Acura TLX is a competent offering and while it may not be an all-out class leader in any single area, it is a smooth and refined cruiser pitched at a price point that makes sense, that is unless you tick too many options. The drivetrain options and recently introduced sporty A-Spec trim level give shoppers a wide range of choices and the improved standard safety items further enhance this mid-sized sedans appeal. Porsche, Acura, Genesis, Mercedes, and other manufacturers will debut new models at the 2019 New York Auto Show in April.